Hacken is a community driven business organization created to serve the cybersecurity needs of the blockchain community via high quality penetration test services and vulnerabilities assessment for their product via a network of white hat hackers. Just recently John McAfee joined Hacken as an Advisor. Right now, the project is running its Initial Coin Offering having raised an equivalent of over $3 mln thus reaching its minimum target. In order to know a little more about it, Dmytro Budorin, one of the co-founders of Hacken, answered our questions about the solution they propose, how it works, the team behind it, and the ICO itself. 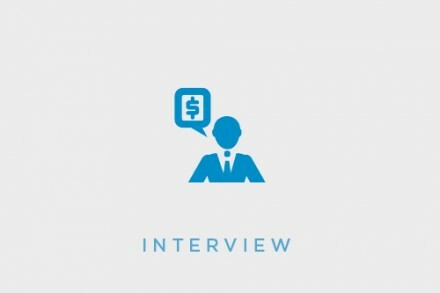 Let’s read the interview below. FinSMEs: Dear Dmytro, can you tell us a bit more about you and your background? Dmytro: I love math and when I was at school I won the regional Math Olympics. I went through a competition to get a job at Deloitte, that’s where my career started. I worked there for 8 years in different areas of the company, such as Finance and European Integration. Later, I worked as a senior professional for Ukrainian Goverment owned companies. Then, in order to go global, I decided to found Hacken. Personally I love football, snowboard, and squash. FinSMEs: Let’s speak about Hacken. Which is the market problem you want to solve? Dmytro: We want to solve the cybersecurity issue that a lot of startups and blockchain projects are facing. Basically, founders and developers are focused on building their products but completely forget cybersecurity. This problem has been seen in a lot of cracks made within the blockchain community, disastrous cases in which a lot millions disappeared. This is a very big issue and this is where Big Bounty comes to ensure that the level of your security and your code is at the highest standars. FinSMEs: How does Hacken work? Which are the main features? Dmytro: we provide a complex solution, which enables users not only to review report bugs but also gives the tools to fix them. We give a scoring rating about the cybersecurity level of a company and have partners in the insurance business to ensure the risk to protect users against damages by hackers. Product founders and developers are always focused on something else but cybersecurity is a complex thing. For this reason, we want to provide the infrastructure to let them concentrate on their product. FinSMEs: What are the features differentiating Hacken from competitors? Dmytro: We have traditional competitors in Ukraine, in Europe, in Middle East, in Asia, who provide penetration tests but have limited resources. They offer fixed price plans, and they don’t guarantee they will find vulnerabilities. On Big Bounty, customers only pay-for-found vulnerabilities, with a lot of professional hackers involved in the process, with efficiency already proven. For example, our hackers helped a big e-commerce player in the region improve their security rate so they even started thinking about firing all of the previous testers and providers because we gave them exactly what they need. FinSMEs: Who are your teammates in this adventure? 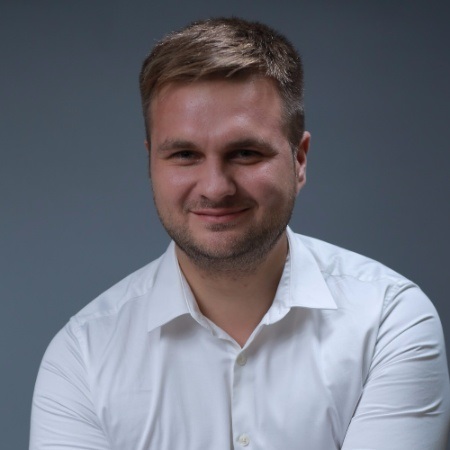 Dmytro: the core team is based on three merged cybersecurity companies in Kiev, comprised of approx 30 well-known experts with proven experience on a lot of projects. The at-large community of 600 people includes professionals from India, Pakistan, from Bangladesh, UAE, Germany, France, among other countries. FinSMEs: You have just launched your ICO. Please, tell us something more about it. Dmytro: First, so far, we have raised $2.7m reaching our first milestone to deliver the product this year. I want to clarify that we don’t accept any crypto fund because they ask for big bonus percentages and this is not in our philosophy. Our ICO is all crowd-sale, we want to build the product soon and provide good liquidity to backers and stable growth of our cryptocurrency. We want to move step by step, we are not interested in raising e.g. 20 million dollars and not to know what to do with it, with demotivated team seeing immediate success. We have a long term strategic plan and we want to follow it. Dmytro: we have a proven community, we already off-line tested our product, which we know is needed by the blockchain market niche. Given this, the funds will be used to hire support and sales employees and to continue to expand its marketing and advertising efforts.